Overclock.net > Industry News > Hardware News > [PG] Valve's VR Headset is Called Index, and It's Coming Soon. 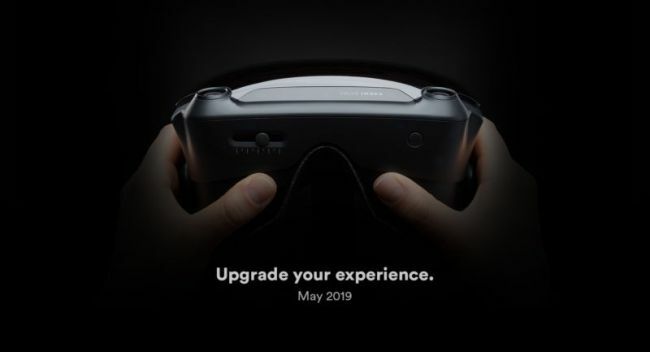 [PG] Valve's VR Headset is Called Index, and It's Coming Soon. Without any sort of announcement, a teaser for the Valve Index has appeared on Steam. It is clearly Valve's VR headset. Keep in mind, this is made entirely separately from HTC and most likely will be coming with an included game for free. CLICK HERE FOR THE GREATEST CANDY REVIEW SHOW OF ALL TIME! I can't wait to see Artifact in VR! Really though, I'm curious, I'd like to know what's actually being hinted at here. Hopefully this uses the 2160x2160 panels that the HP Reverb uses (or even higher resolution). looks like its gonna be inside out tracking. now weighing between this vs the HTC cosmos. It does seem to have the three dots. https://arstechnica.com/gaming/2019/...-for-may-2019/ Besides lighthouse is Valve's design. I wonder if they just integrated the steam link into a vr headset? Then they would have a wireless vr headset. That can work anywhere in the world. I’ll probably snag one on launch. Probably building a second system when zen 2 launches so I’ll move the odyssey+ to my girlfriends rig. Wonder if they’re going lighthouse or internal sensors. Really hoping the knuckles come to market before I break a motion controller too. VR is just 3-4 killer games away from being really interesting. I've tried VR a few times, low resolution is always irritated me, but the experience is actually really impressive. I would love to see some triple A games from valve in VR, that would be worth 1-2 grand for a VR setup. I picked up a Lenovo Explorer WMR headset with the motion controllers of off ebay for $150 refurbished. The controllers are no where near as good as the Oculus Touch controllers that my CV1 has, but they're about as good as the Vive wands. I use the headset on my racing sim, and it works great! It even has official Steam VR support. Overclock.net - An Overclocking Community > Industry News > Hardware News > [PG] Valve's VR Headset is Called Index, and It's Coming Soon.